Everything in life comes down to a choice, and in a world where there is no shortage of options, we need to rely on the facts. Whether it’s a new coffee maker, family trip years in the making or a new career path, it’s the reviews, statistics and facts that will determine your final decision. There are over 20,000 RE/MAX Agents across Canada who work day in and day out to solidify RE/MAX as the most recognized real estate brand in Canada. They work tirelessly to put our words into action by providing the quality service associated with the RE/MAX brand. 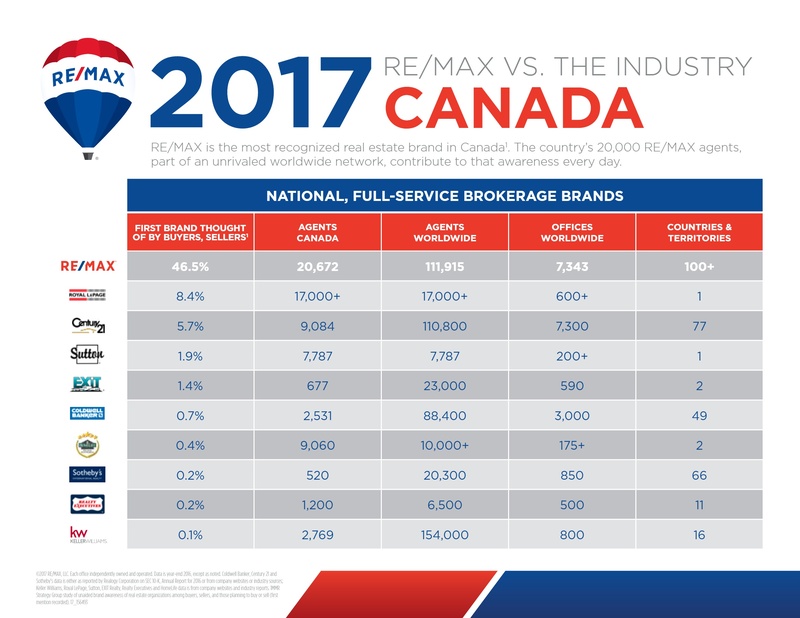 RE/MAX represents home, both for your clients and thousands of your colleagues, and for those who aren’t convinced, all you have to do is look at the facts. Looking for new content for your listing presentation? Look no further! Stop searching for valuable content for social media, it is right here! Pull out some stats and use a tool like Canva to create a simple social media image to share. We are in the middle of the busy season, which means your weekends could be jam packed with open houses. Have a few of these ready to hand out with the homes feature sheet. If you would like to download the full .PDF of RE/MAX vs. the Industry, simply click the button below!